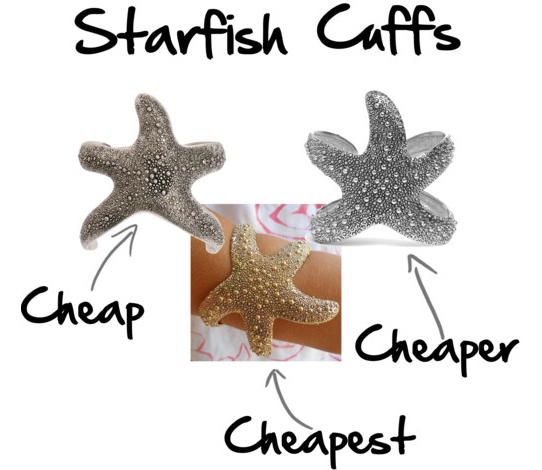 Starfish cuffs have become quite the statement trend, spotted on everyone from celebs to bloggers their setting the stage for "statement bracelets" and I'm loving it and of course, them. How fabulous are these finds? love this. i have the baublebar one and think it's the best... but i'm biased! SO cute! I love that cuff. I wish I could wear them. they always fit me so weird! These are so popular right now!